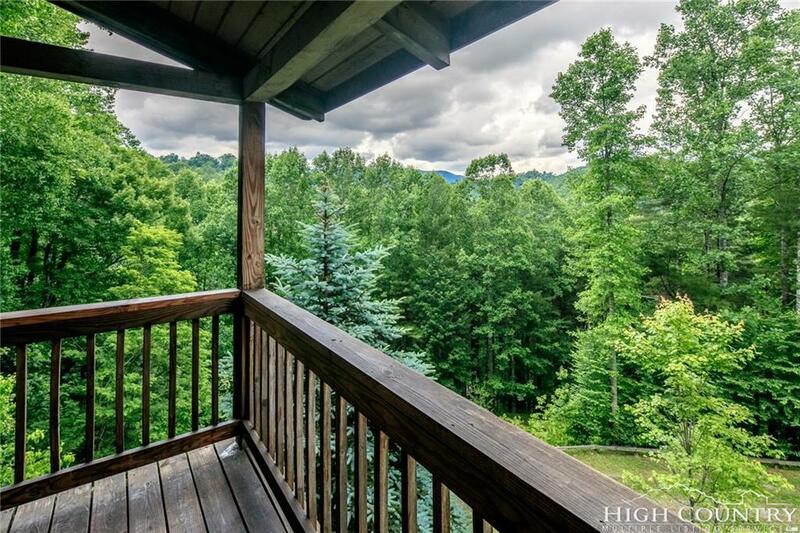 Wonderful mountain cabin on 3-acres and in a very private setting near Valle Crucis. Nice view and potential to expand the view with tree trimming. 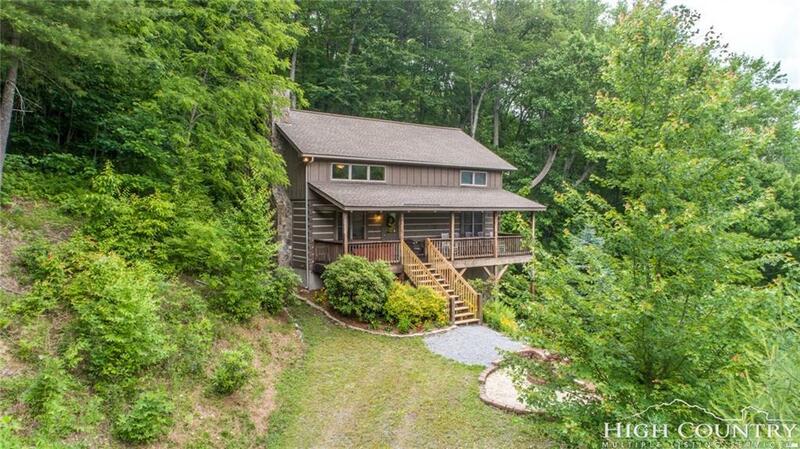 This 2 bedroom 2 bath cabin is hidden from all homes and has the perfect front covered porch plus a rear covered porch. 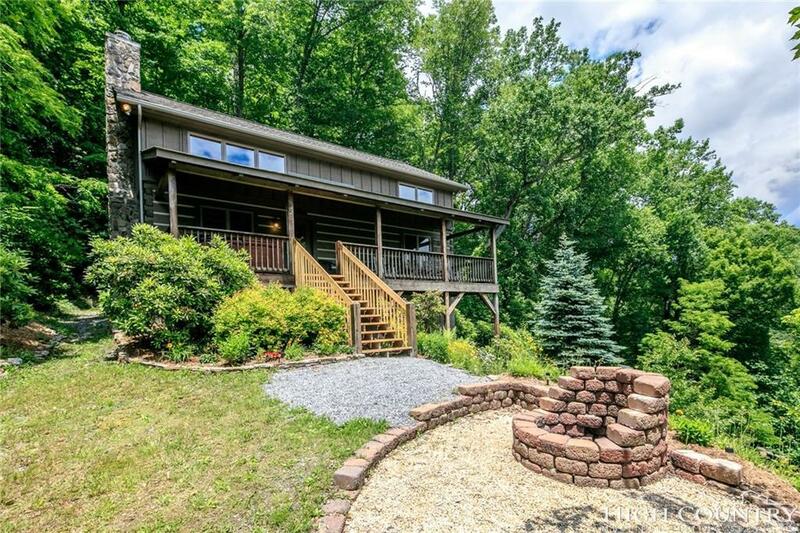 Other features include all wood floors on the main level, main level bedroom and bath, two story wood burning stone fireplace, hottub, fire-pit and quiet serenity for enjoying those quiet nights in nature. 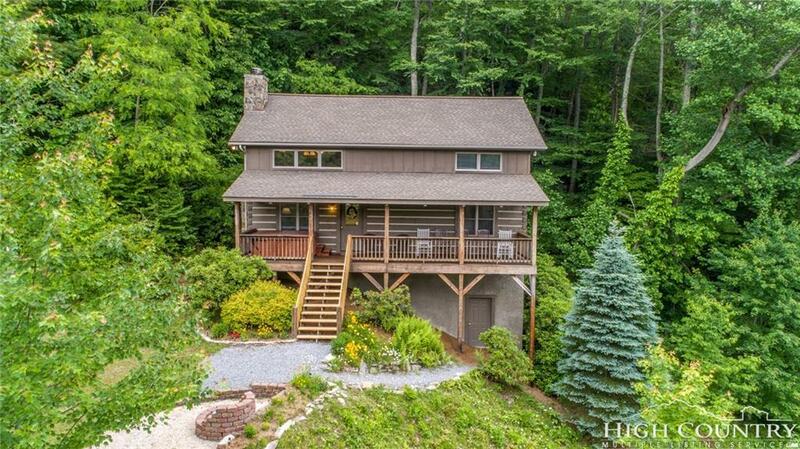 A great place for vacation rentals or just your mountain get-a-way...and don't forget about the unique boulders just a short walk away behind the home. Listing provided courtesy of Stephen Mcdaniel of Vincent Properties.